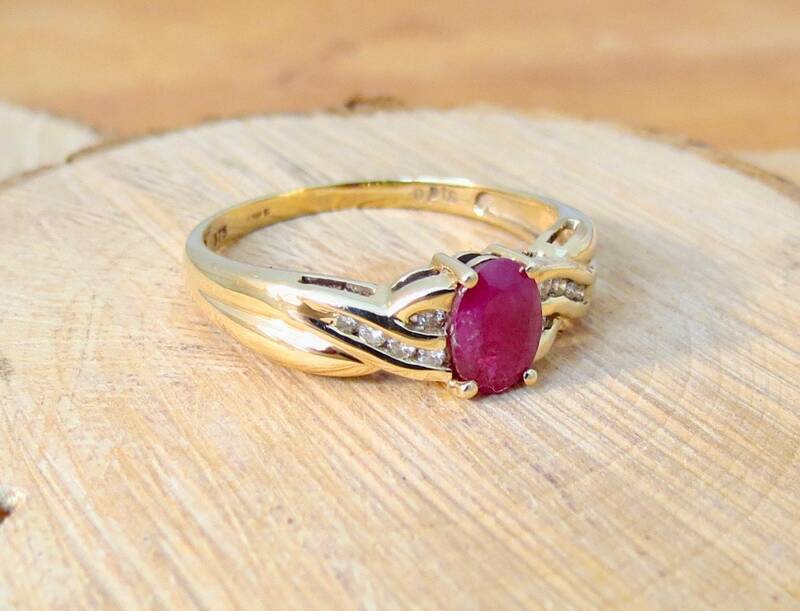 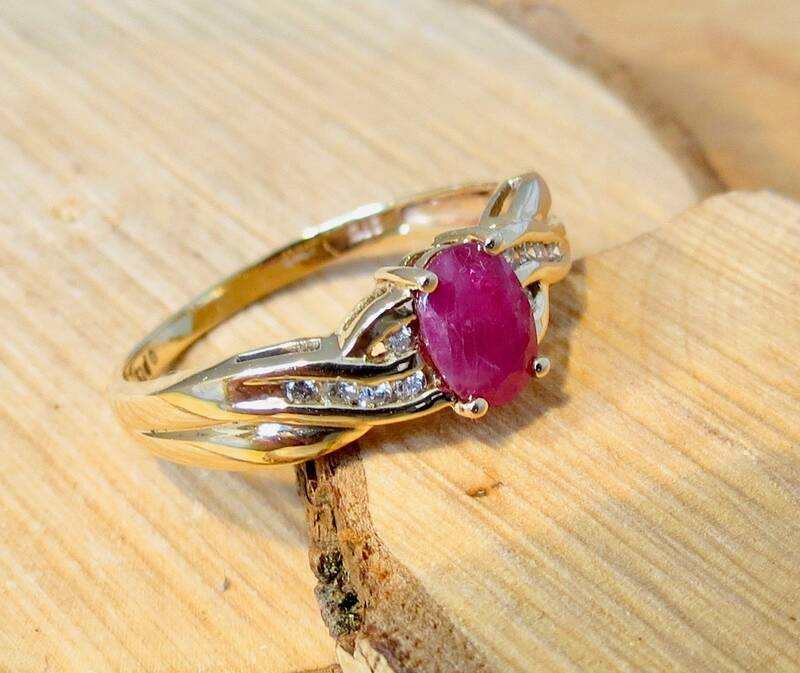 A 9K yellow gold ruby and diamond ring. 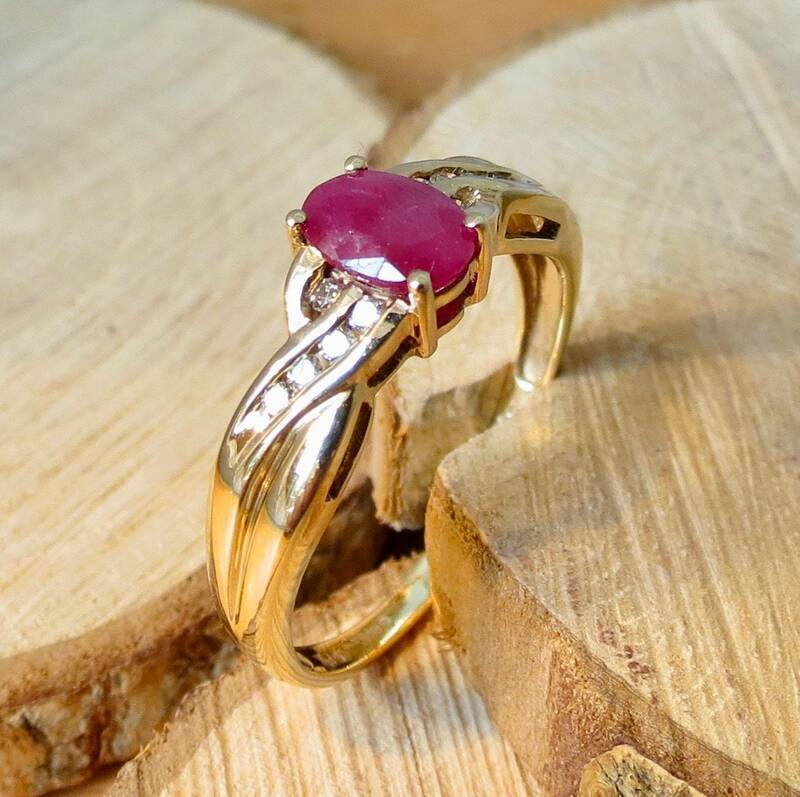 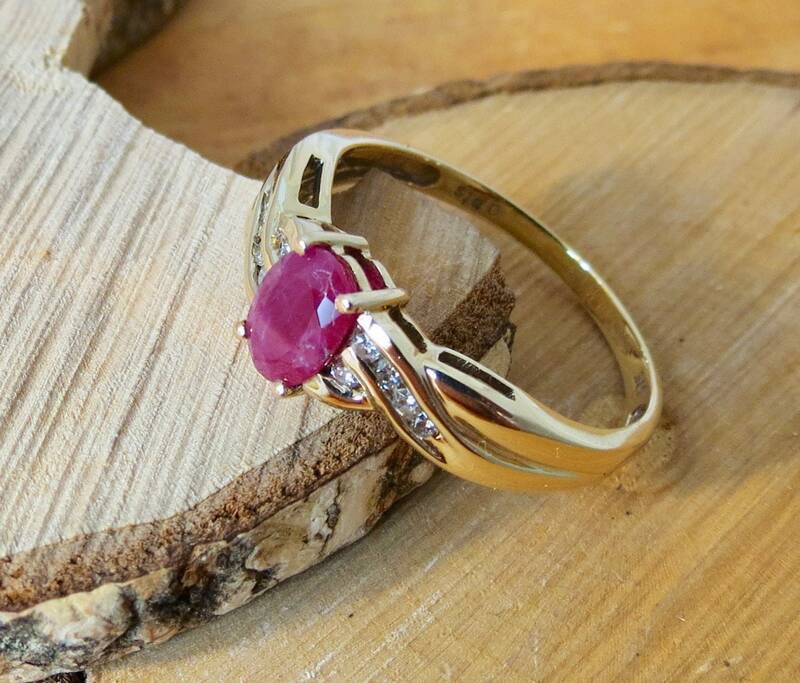 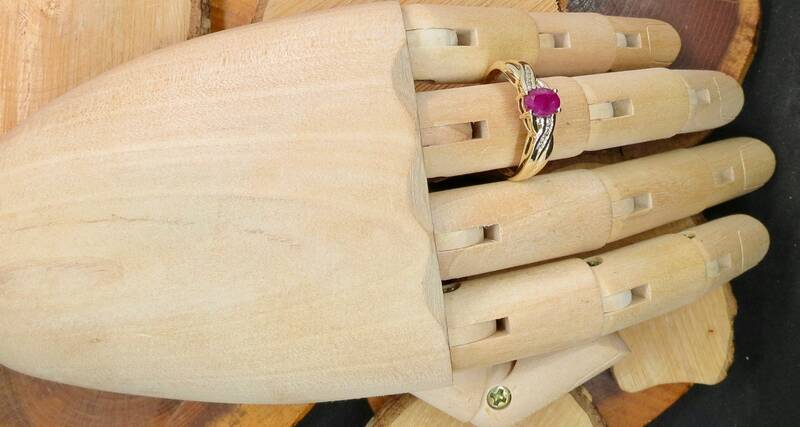 This 9k yellow gold ring has a central oval cut ruby, cross over shoulders have cannel set diamond accents. 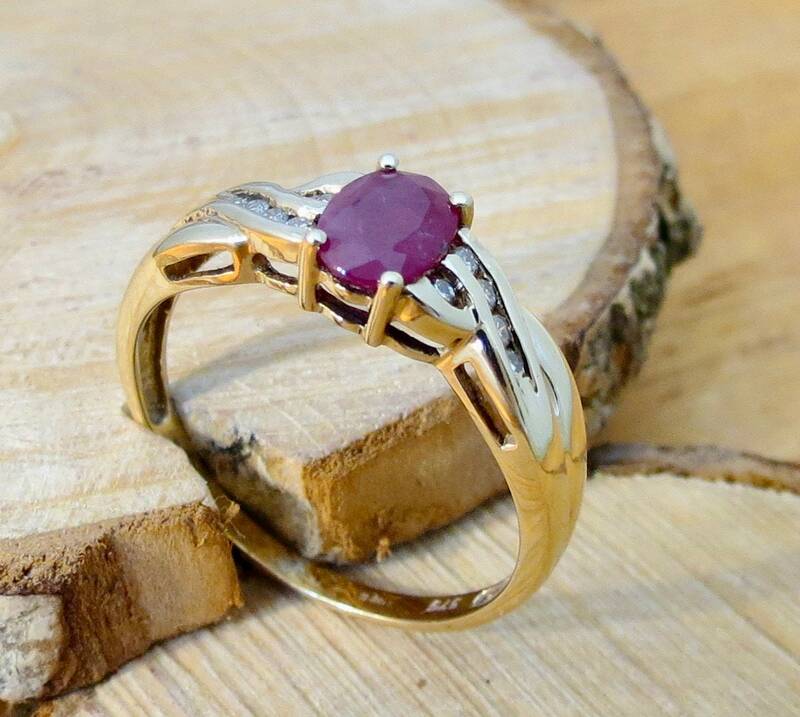 English Hallmarks 9k gold Birmingham England, DIA stamp. 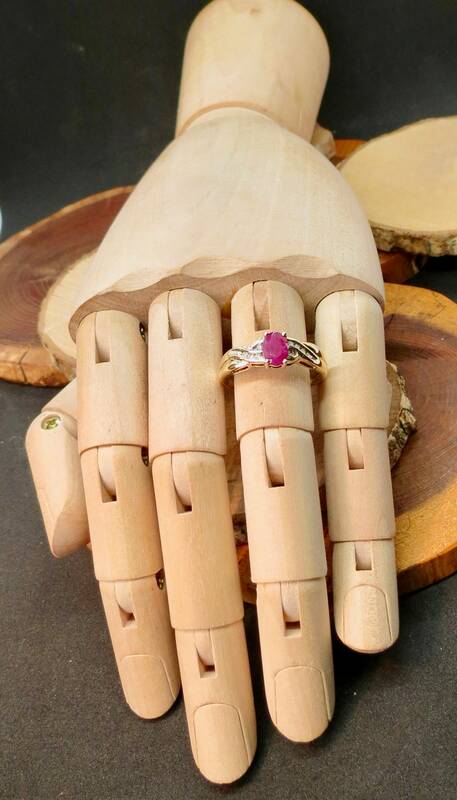 The setting measures almost 1/4 inch (7mm) wide. 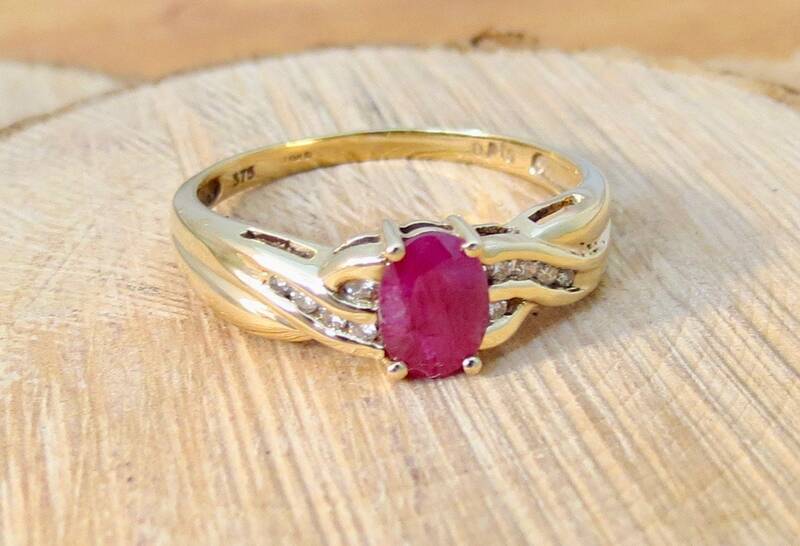 The ruby is opaque with a little milkiness.